My husband Wayne is an avid science fiction reader and writer. I enjoy reading some of the first contact and post apocalyptic scifi books he buys for the Kindle. Having a family account stretches our book buying and reading budget. 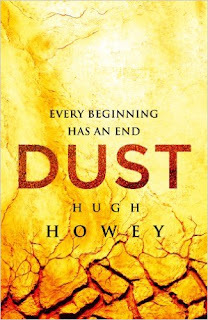 We learned about an outstanding science fiction writer named Hugh Howey at a Whatcom Community College class by Susan Colleen Browne about self publishing. Howey is hugely successful in the world of independent publishing, and he's proud of it! No traditional publishers for this guy, and no need to share his profits either. His trilogy of books including Wool, Shift, and Dust come together to form the Silo Series. Each book was originally published on Amazon as a series of Kindle Short Reads. Once the chapters were completed, they were bundled together and offered as omnibus versions for $5.99, an interesting marketing technique. All three books follow the lives of what appear to be the last humans to survive some kind of worldwide catastrophe. In Wool, we are introduced to humans confined to live within a deep silo underground. You don't know how this came about. 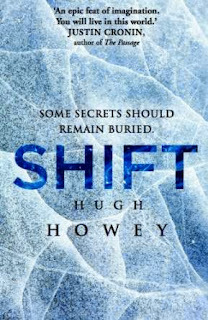 Next comes Shift, part prequel and part a continuation of the original story. We follow a "cleaner" outside to certain death, but follow her to a major discovery about their living condition. Finally comes Dust. We learn even more about how silo life came to be, and the designers horrible plans for the future of humanity. Who will survive and how? I like science fiction too and mysteries, books and movies. 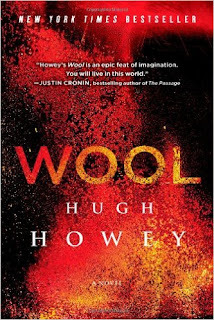 Wool was awesome but I haven't gotten to the rest of the series yet.